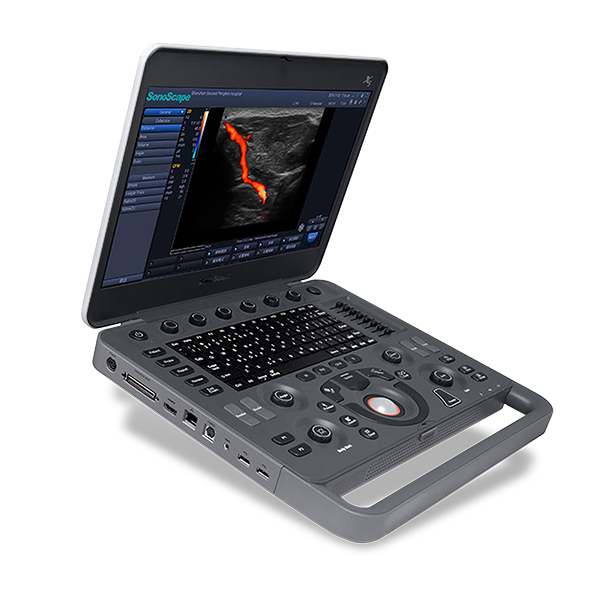 EXAPad Mini – A new way of approaching ultrasound scanning. 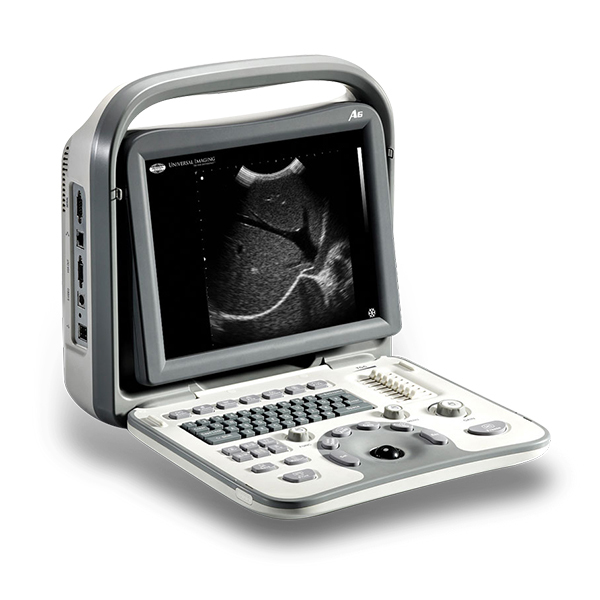 High Quality Imaging in a small, robust system. 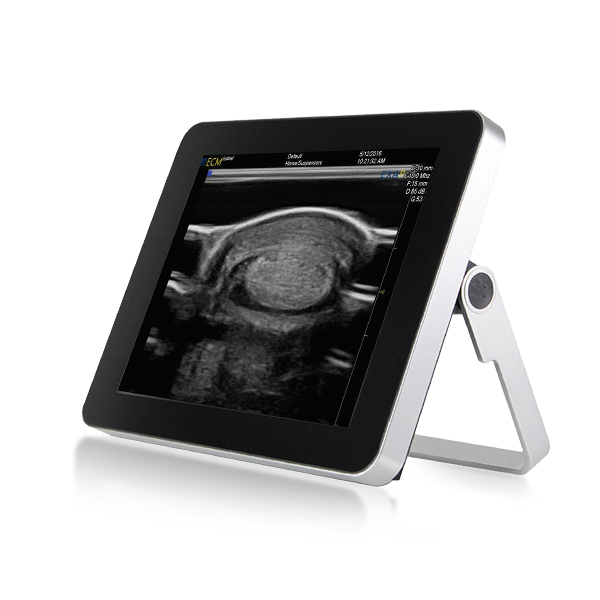 The streamlined interface provides every user with a simple and completely intuitive use of the ultrasound scanner. The small, light-weight tablet style form factor of the EXAPad Mini delivers class leading images on its high resolution 12” touch screen. The convenient 3+ hours of battery life and streamlined interface enable fast and efficient studies in a wide range of applications. 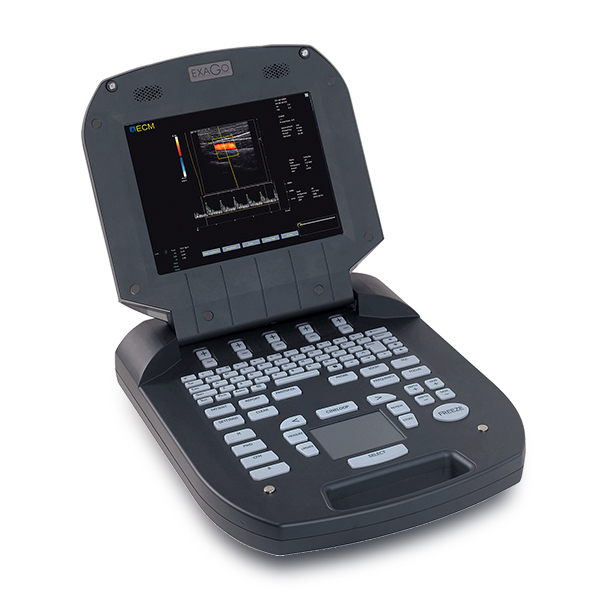 This makes the EXAPad Mini a very handy ultrasound scanner. Vet specific algorithms make diagnostics easier. Patient files, reports, annotations, specific measurements are all adapted to veterinary practice. Thanks to the new EchoTouch interface system, only the necessary functions are present on the screen, making use faster and more efficient. The advanced settings remain by simply dragging a finger across the edge of the screen. when you are further away from the device. 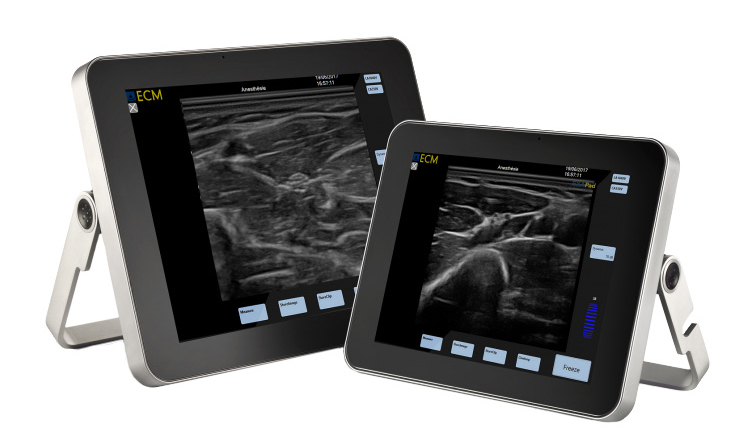 Remote access with EchoPad installed on your Ipad, you have access to a second command board for your Exapad Mini, allowing you to pilot your ultrasound scanner remotely. You can save your own presets in your iPad that can be used in the Exapad Mini.